So you have 235/40/18 on 245 wheel and have not had any issues then? 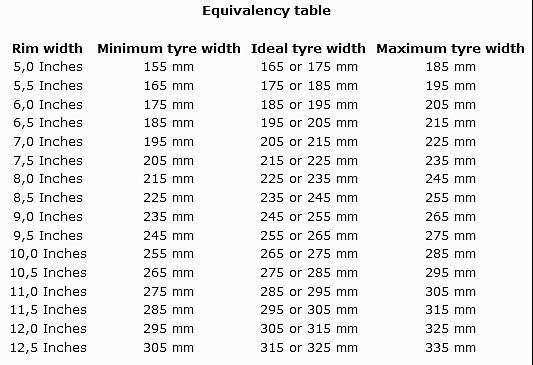 Each size of wheel can take a range of different width tyres. With luck MP will post up his handy little table. As you can see, 235mm is considered ideal for an 8" rim, 245mm is the max. Just confirming guys I'm ok to swap over from runflats 245/35/18 to a 245/35/18 non runflat on an 8J x 18 Style 386 on the rear? Yup. Swap the fronts at the same time too, or the car will become pretty unstable. It's hard to go far wrong with Michelin Pilot Sport 4, with 92 Load index.